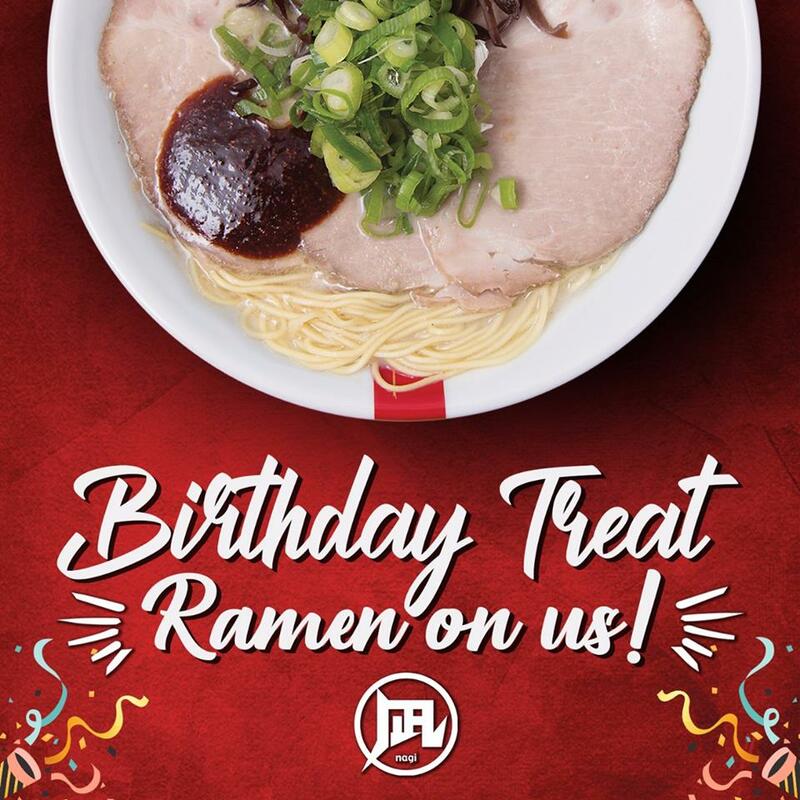 Celebrate your birthday with your favorite Ramen! Check out Ramen Nagi's Birthday Blowout Promo. 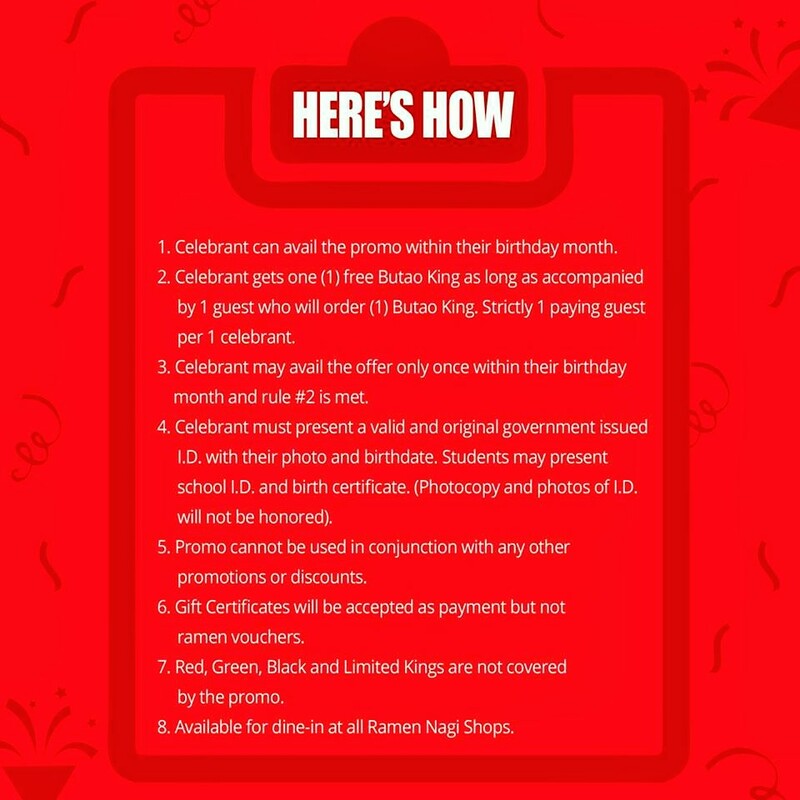 Enjoy FREE Butao King Ramen on your birthday month! Birthday celebrators can avail of this promo as long as accompanied by 1 full-paying guest who will order one (1) Butao King. 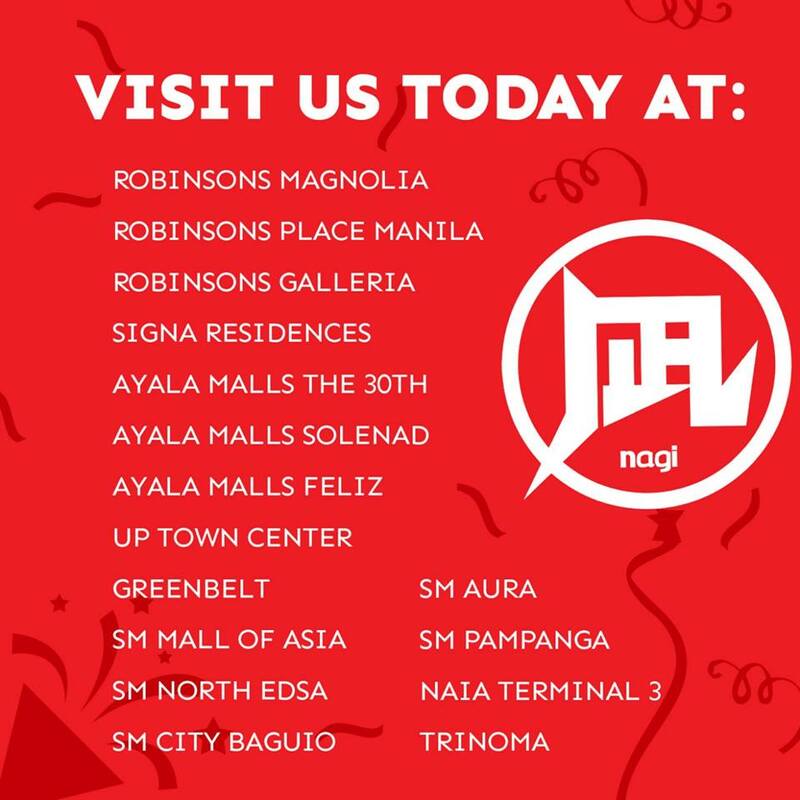 Have a Butao-ful birthday, on us! 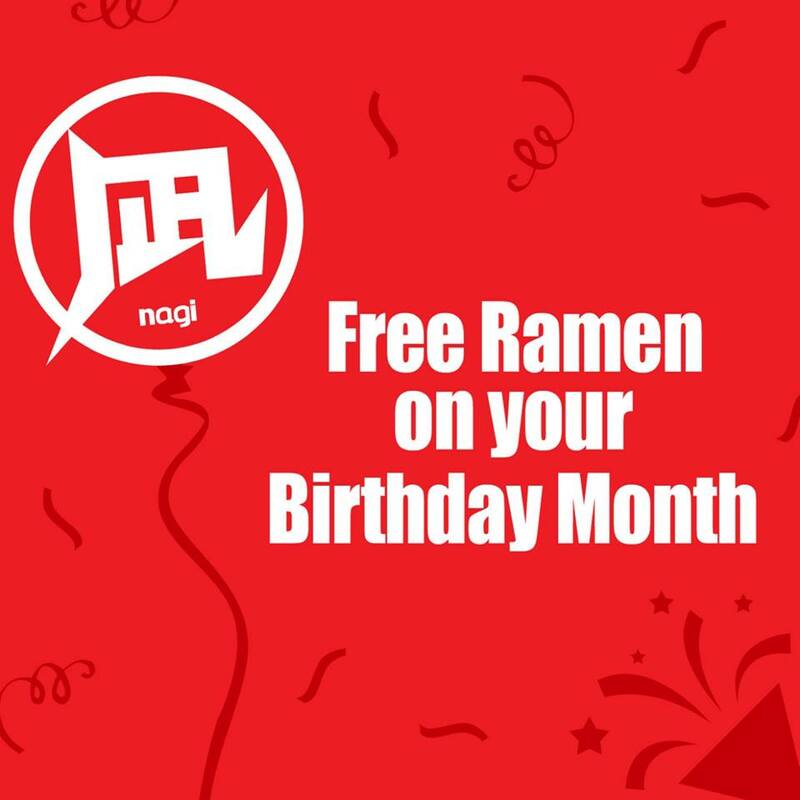 FREE Ramen on your birthday month promo is back, just because you asked for it! 1. Free one (1) bowl of Butao for the birthday celebrator who will dine in at any Ramen Nagi branch within his/her birthday month. 2. The birthday celebrator must be physically present and accompanied by one (1) full paying customer with an order of Butao. 4. 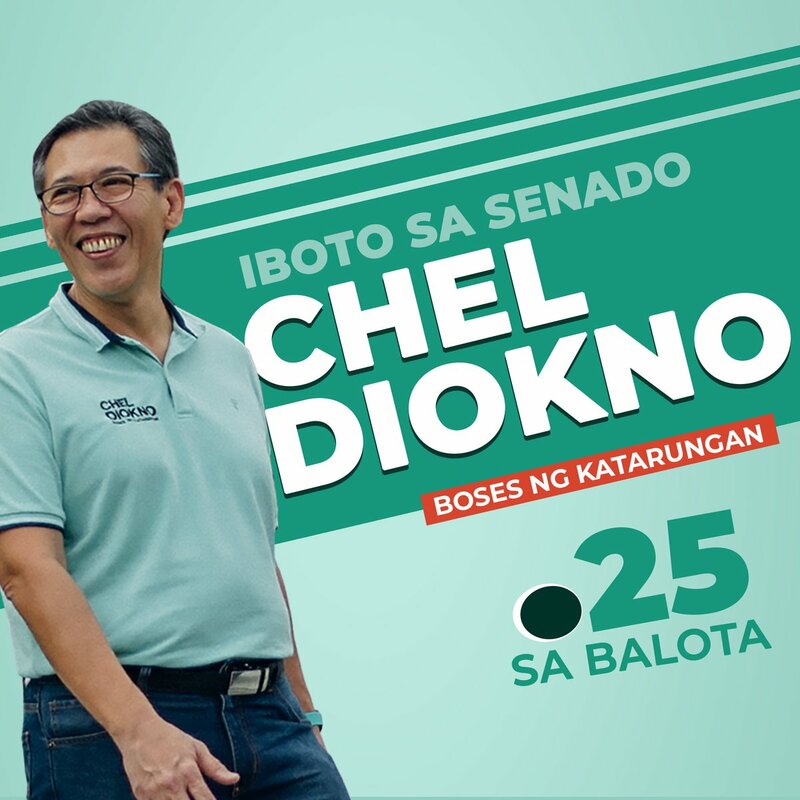 To claim, celebrator must present one (1) physical copy government-issued ID with photo identification and proof of date of birth (SSS ID, TIN ID, Voter’s ID, Passport, Driver’s license, PRC license, etc.). ID screenshot or digital copies will not be honored. 5. 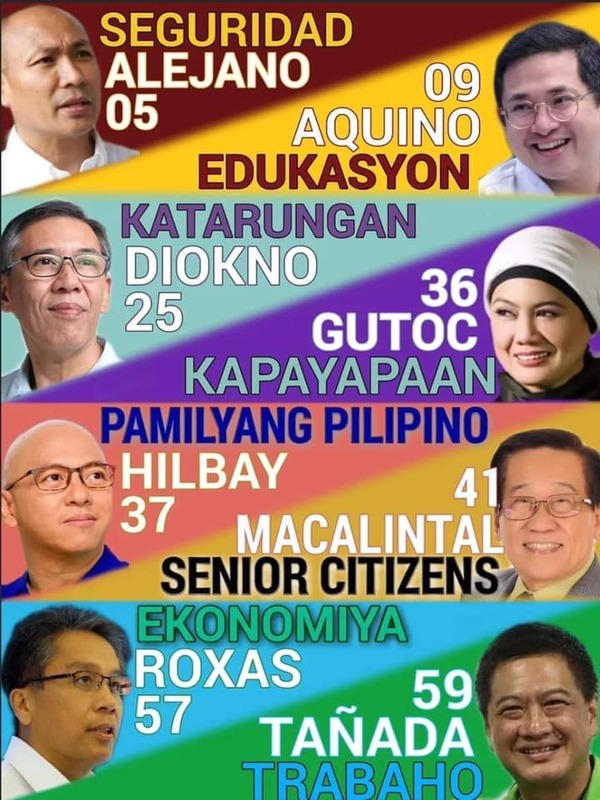 In the event that the celebrator doesn’t have any government-issued ID, birth certificate supported by any ID with photo identification (school ID or company ID) will suffice.